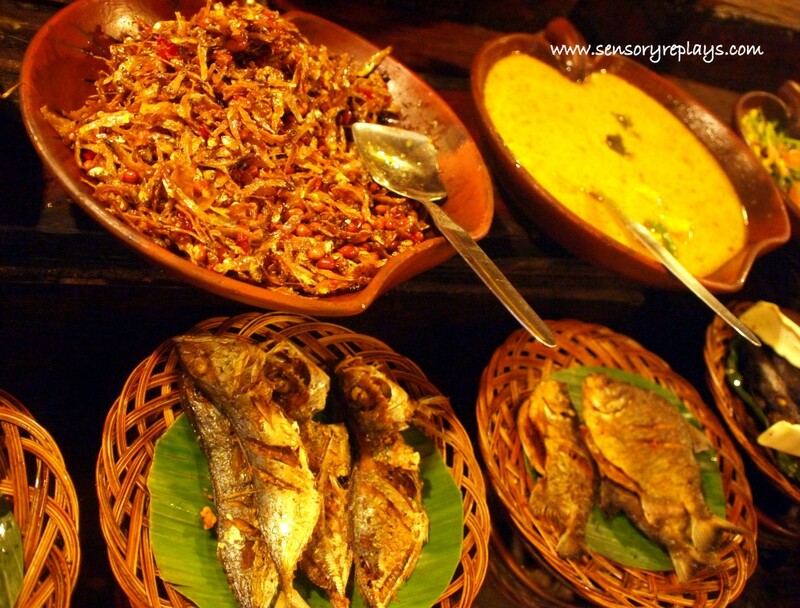 one of the things that i appreciated when i visited indonesia was their cuisine. i actually liked their dishes that i was able to taste which satisfied my fondness to slightly spicy food. here are some of the “restoran” i visited during my solo travel. 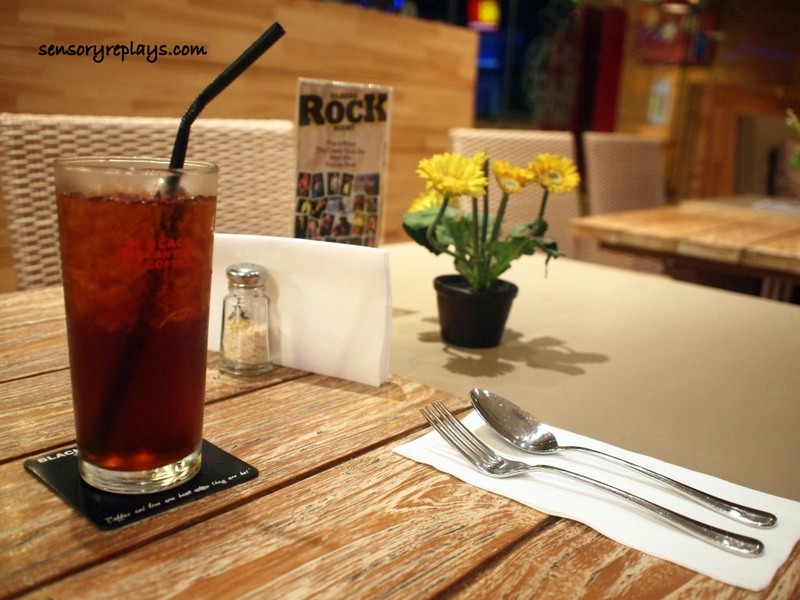 i was searching for a place to have dinner after my leisurely walk at kuta beach and noticed this nice looking restaurant in discovery shopping mall in jalan kartika plaza. 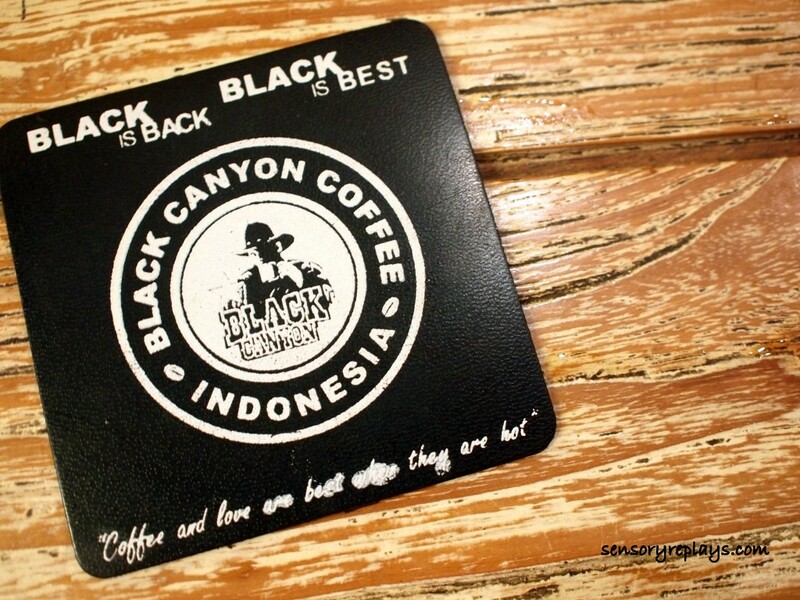 black canyon coffee is originally from thailand. 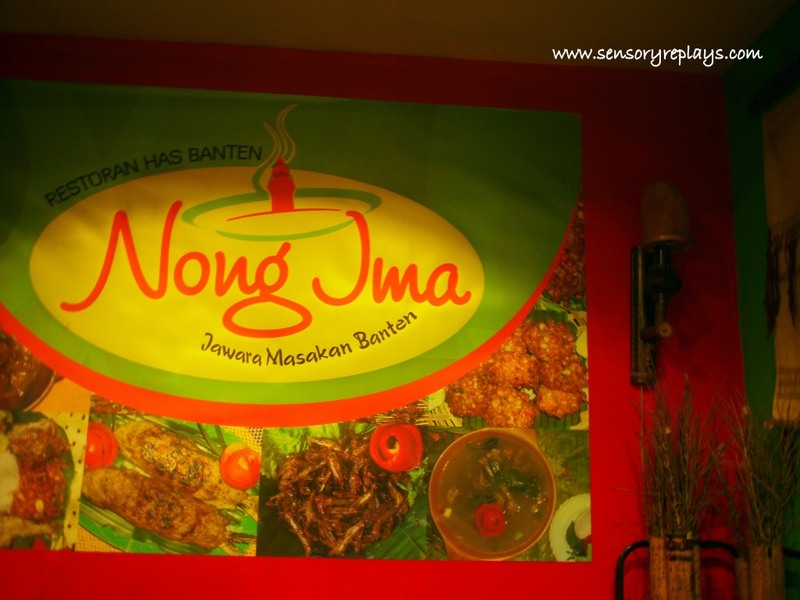 this one in bali is the only branch they have that is operating in indonesia. 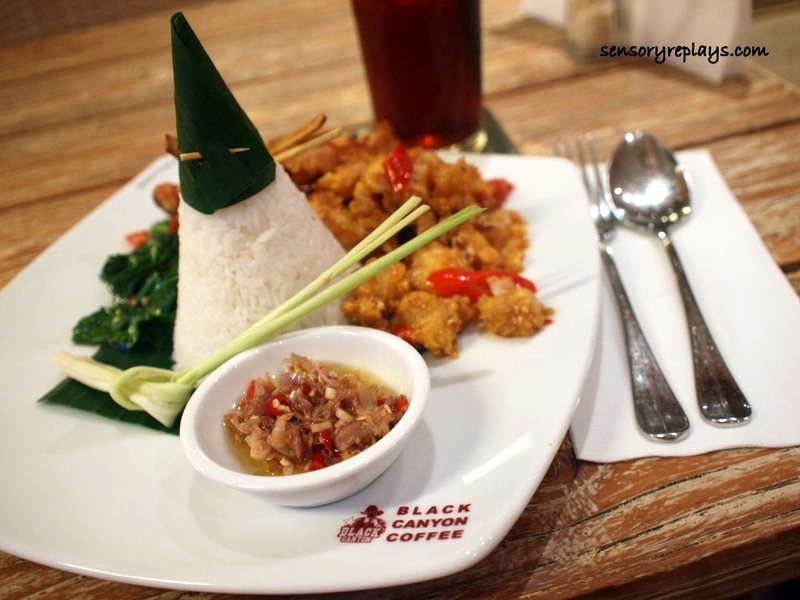 my first impression about black canyon was that it only serves typical menu that one will find in a coffee shop like sandwiches or other quick-fix food but i was surprised when i checked out in their menu that the place is actually a restaurant that offers extensive choices of food. 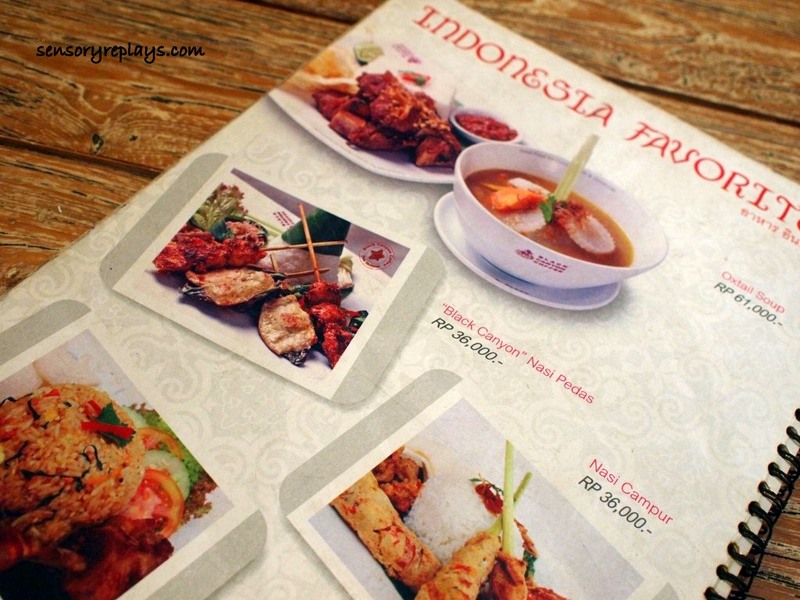 they have what they call “indonesia favorites” where local dishes are served in a different zest. i ordered some sweetened black iced tea. 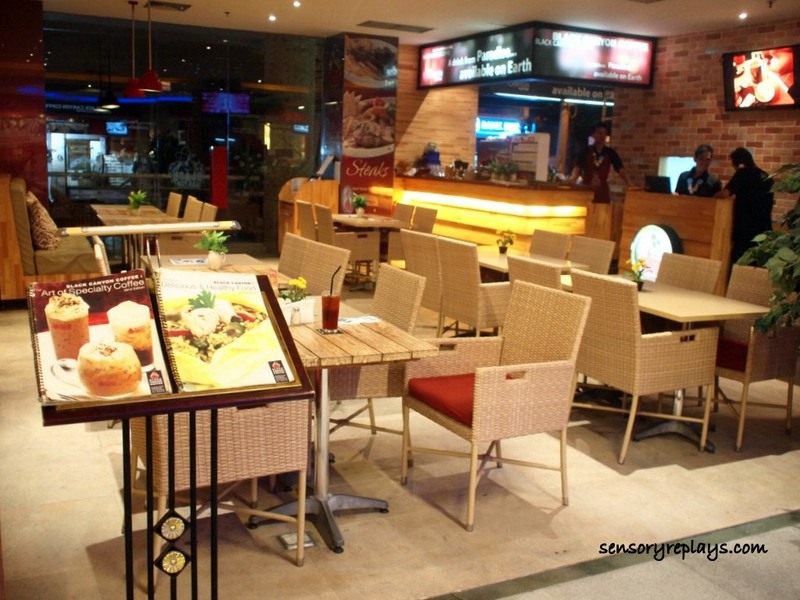 there is a foodcourt in sarinah mall in jakarta where i ate at nong jma. 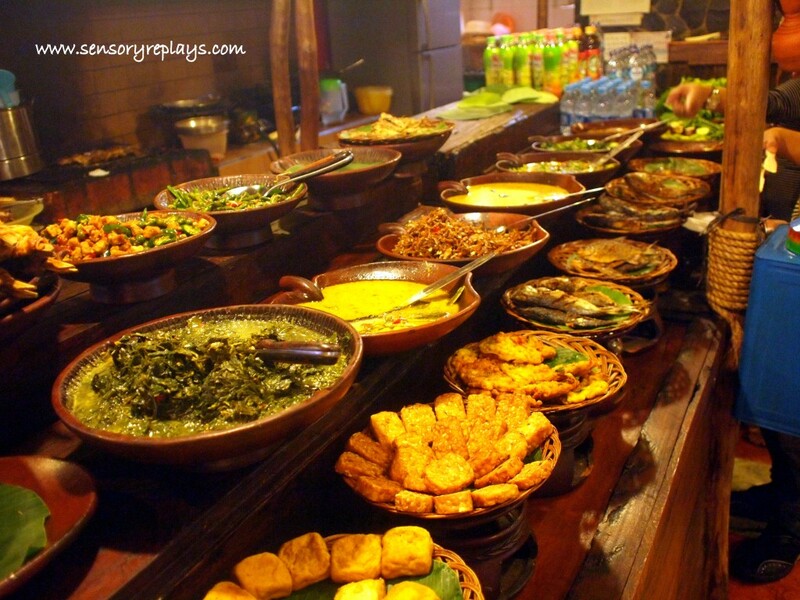 the set-up is that there is a buffet spread where you can choose a variety of local dishes. you pick what you want and how much you want it in your plate and pay for that. fried fish and tofu, spicy anchovies (loved it! 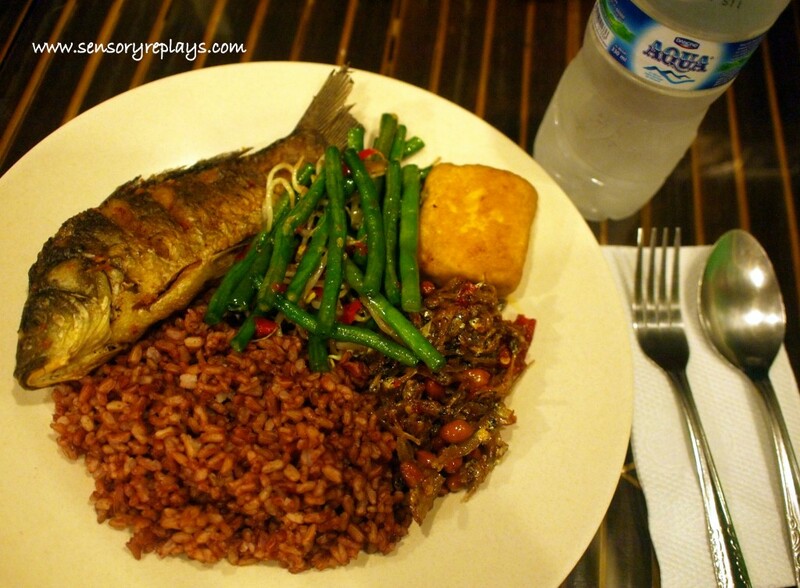 ), string beans with mongo sprouts and brown rice cost me only about idr 20,000 – like $2.00! 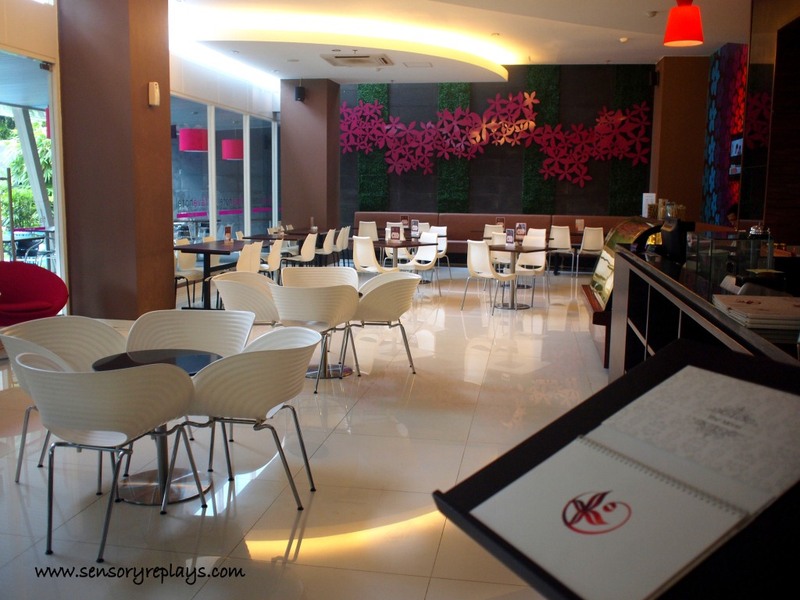 this restaurant is at the ground floor of fave hotel where i stayed in jakarta. i had my dinner here before my flight back to manila. 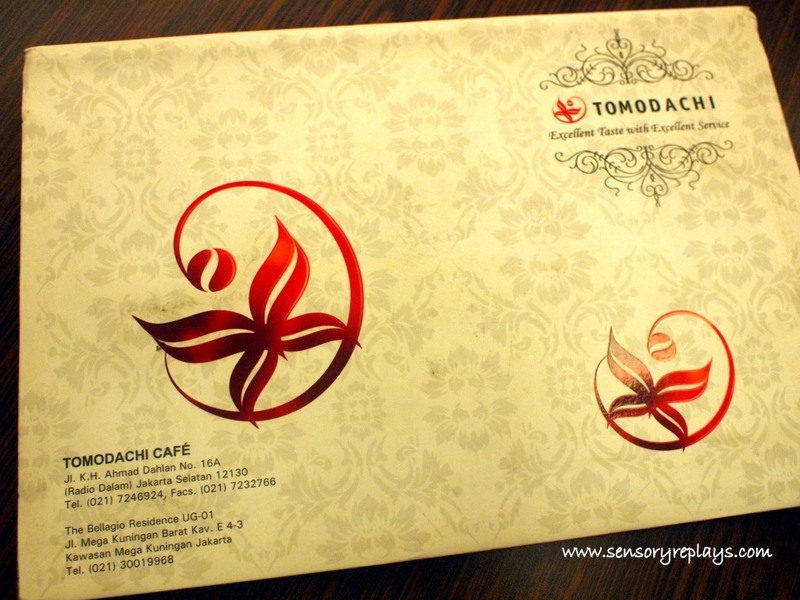 it is a french-oriental fusion restaurant. the restaurant has a very modern feel. 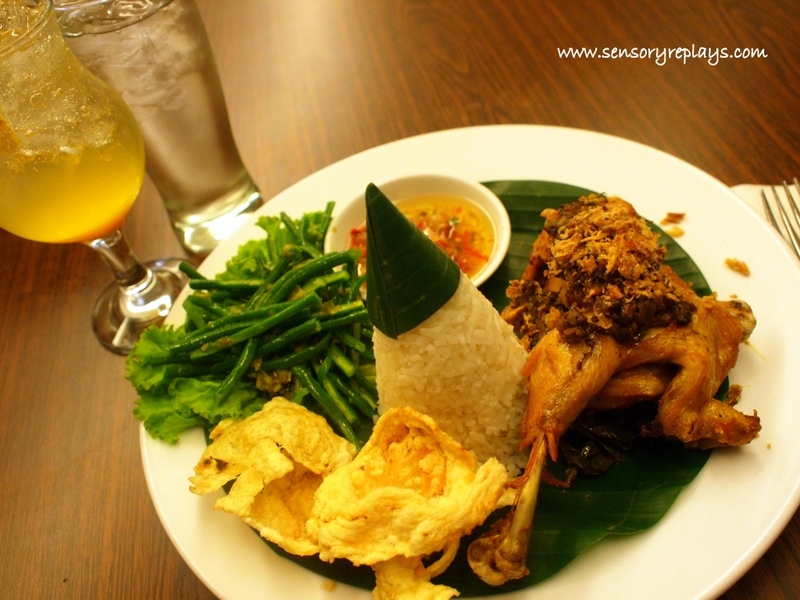 i ordered “ayam betutu”, half chicken grilled with traditional balinese spice, served with steamed rice, sambal matah, and piecing kacang panjang. the dish was beautifully presented though the food itself, i can consider as average. makanan tempat means food places in bahasa. 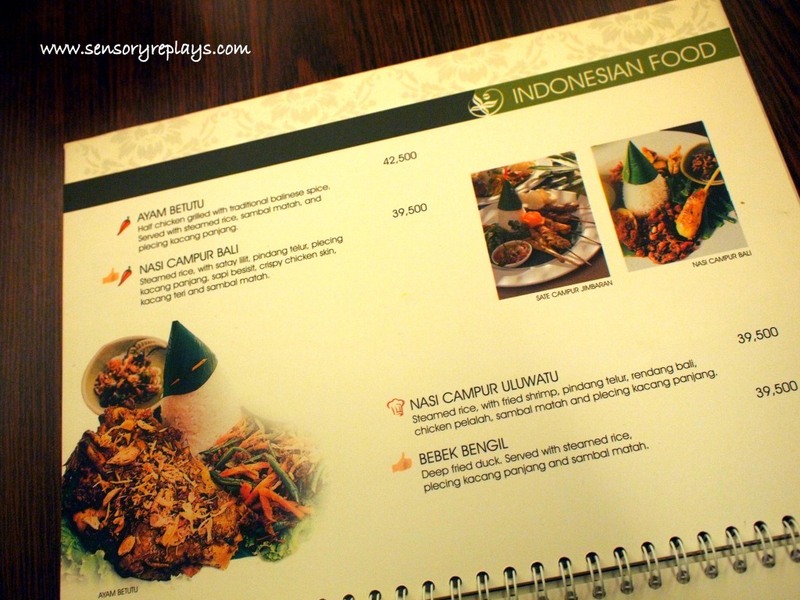 This entry was posted in palate teasers and tagged ayam betutu, bali, bali restaurants, black canyon coffee, fave hotel, fave hotel by aston, fave hotel wahid hasyim, indonesia, indonesian cuisine, jakarta, jakarta restaurants, lone travelling, makanan tempat, nasi pedas, nong jma, sambal, sambal matah, sarinah mall foodcourt, solo travel, tomodachi, tomodachi cafe, tomodachi restaurant. Bookmark the permalink. question : bakit po may takip ng banana leaf ang kanin sa plato? looks odd to me? .. it is with deep regret that the answer to your inquiry is not known. haha! .. tsinatsamba lang ata nung cashier lito e, haha. the food was good, and actually there were foreigners eating at the restaurant kaya sinubukan ko rin. i drool at spicy anchovies! sa siem reap may french-khmer fusion restaurant din! sa Pinas kaya may french-pinoy fusion na? .. me too! kahit yung tagpipiso na dilis sa sari-sari store dati dun sa amin pinapatulan ko! haha. .. french-pinoy fusion resto? parang wala pa.